Let’s say you have ruled out ignition and fuel delivery as the cause of the engine misfire. As a result, That leaves compression as the underlying cause of the engine misfire. 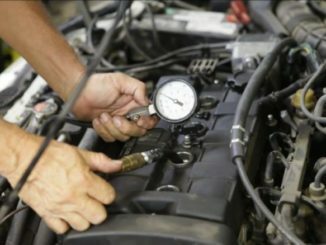 So, There are many reasons why low compression might exist in your engine. Sometimes there will be low compression in just one cylinder and other times there will be low compression in all cylinders. You just have to understand the main possible causes of low compression in a engine and then fix or replace whatever is damaged. Consequently, One of the best ways to prevent misfires from occurring in the first place is to perform adequate car maintenance. This kind of failure is easy to check, using a compression tester. So, If no compression is present in any one or more cylinders it means a mechanical malfunction has occurred. Consequently, Low compression could also just be the sign of worn internal engine parts. Misfires that turn on the check engine light and log a cylinder-specific fault code are the easiest to diagnose. The OBD-II system will identify the cylinder(s) that are not contributing their normal dose of power and set a code. A leak-down test or cranking compression test can be used to see if the cylinder is holding or pumping up normal pressure. As a rule, most engines should have 140 to 160 lbs. Of cranking compression with no more than 10% difference between any of the cylinders. Low or no compression in one or more cylinders means the head will have to come off. Another reason for removing the head is if you find spark plugs that are heavily fouled with oily deposits. As a result, Oil leaking past worn valve guides or seals is usually the culprit. Installing new plugs will cure the symptom but not the cause. 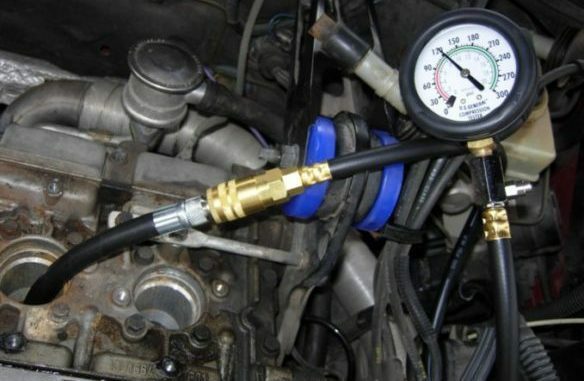 Consequently, The permanent fix is to replace or the valve guides and to install new valve guide seals. 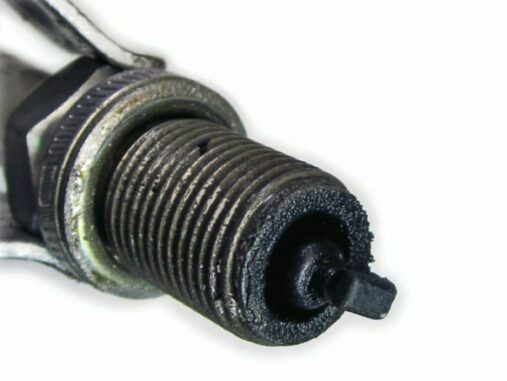 A spark plug that shows heavy whitish to brown deposits may indicate a coolant leak either past the head gasket or through a crack in the combustion chamber. This type of problem will only get worse and may soon lead to even greater problems if the leak is not fixed. 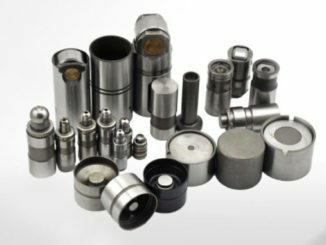 A cylinder also will not fire normally if the valves are not opening and closing properly due to a weak or broken valve spring, or a rounded off cam lobe. When compression gets below 90 pounds the cylinder will not fire. If your engine has a misfire it could be because of low or no compression. 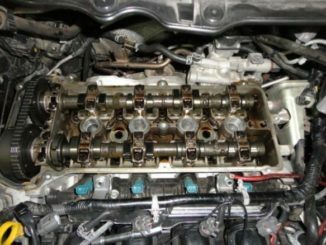 Valve Train Noise – Where Is It coming From ? – Is It Bad ?